You can expect the perfect trifecta of cuisine, culture and music when leaving from the Port of New Orleans, Louisiana. 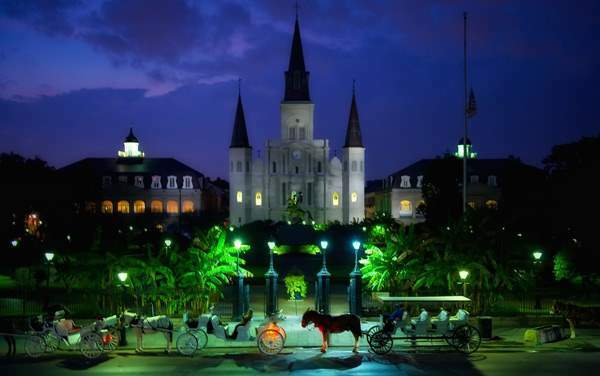 Often coined the most unique city in America, New Orleans offers a Southern experience with a twist of French, Spanish and Creole cultures. These cultures are all blended in the food, like beignets, which you can get at the famous Café du Monde. Embark on a cruise from New Orleans and save with the cruise deals listed below. The culture and music you are able to experience when cruising from New Orleans are unparalleled. Stroll through the French Quarter and behold the diversity of Louisiana. You can catch live Jazz music at Preservation Hall or a magic performance right along the streets. Take a tour of the city’s unique cemeteries and learn about the rituals of voodoo – all this and so much more when you cruise from New Orleans. Continue below to find a cruise deal on a sailing leaving from New Orleans.